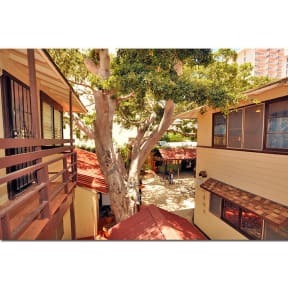 Seaside Hawaiian Hostel Waikiki i Honolulu, USA : Boka nu! 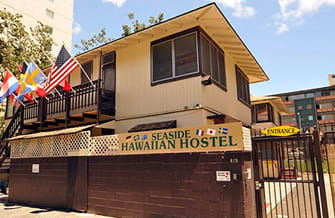 We really liked Seaside Hawaii Hostel! Everyone is supernice and its close to everything and busstop. Nice breakfast. What we didnt like was that there is no AC in the room, so it can get really warm. There is also no blinders so you often wake up with the sun. The wifi did not reach into our dorm, it was only accessible from the common area. Great atmosphere in the yard, helpful staff and great guests! The rooms has no a/c which was kiiiiind of a problem because it got soooo moist. Also no curtains so count on getting up early in the morning at this place.